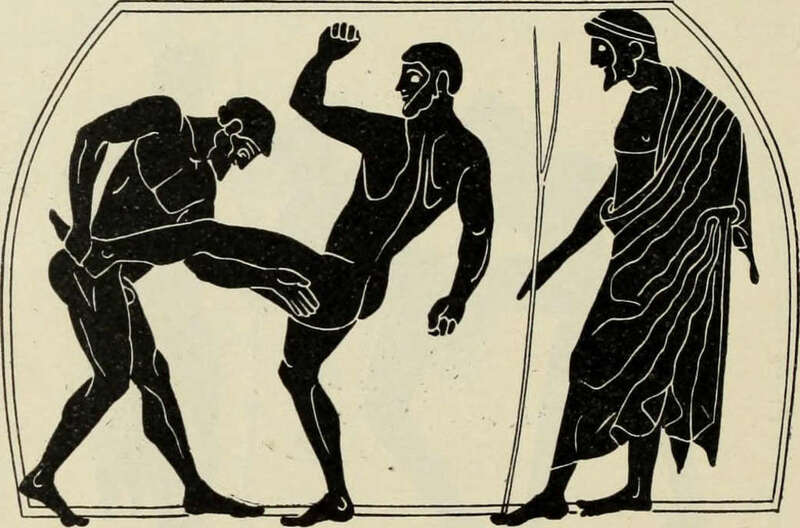 Making its debut in 648 BC in the 33rd Greek Olympic Games, pankration is an ancient sport that combined wrestling and boxing with only 2 rules – no biting and gouging out your opponent's eyes. Unsurprisingly, deaths and serious injuries were common and considered ‘occupational hazards’. This bloody spectacle was actually the most watched event at every Greek festival, not just in the Olympics! Also, only one person bought a ticket to watch the event. But not all is bad – croquet is also the first Olympic event in which women could participate! First played in medieval Scotland, curling has been part of the Winter Olympics since 1998. Two teams of four take turns sliding a 40-something pound of granite down a lane of ice towards the center of a target. The players scrub furiously at the ice as though hellbent on removing a decade-old stain, because these special ‘brooms’ warm the ice and reduce friction, allowing the stone to travel slightly farther. We must say, although curling qualifies as a sport, it’s not very… Olympian-looking. What used to be an exclusive royal pastime in Scotland and the UK became a part of the Olympic games, with competitors typically shooting disc-shaped targets aptly named clay pigeons. Why? Well, for the 1900 games in Paris, the officials went with something… Livelier. PETA wasn’t around yet to protest the cruelty. Thankfully, the bloodshed only occurred once in the Olympics. An estimated 300 birds were killed that day, with the winner taking down 41 of them. Race walking is exactly what its name implies. It emerged from the British culture of long-distance competitive walking known as pedestrianism, and today it is an ongoing Olympics track and field event! Both feet have to stay in contact with the ground at all times. I just tried it walking from my desk to the pantry and to the toilet and back again, and it’s surprisingly hard to do! Can we also take a moment to acknowledge how funny it looks!? Race walking is an entire track of people who look like rhythmic penguins. What other bizarre sports do you know? Write us in the comments!